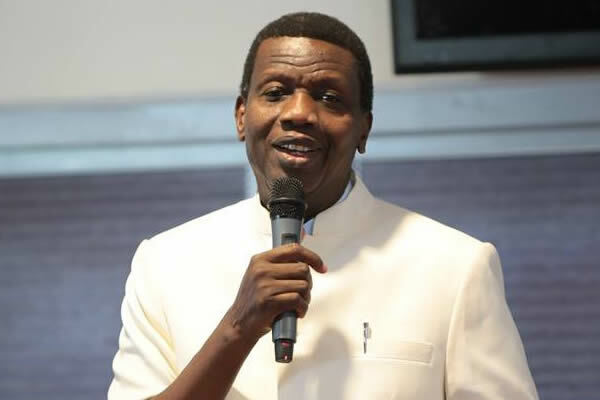 General Overseer of the Redeemed Christian Church of God (RCCG), Pastor Enoch Adejare Adeboye, has on Sunday told congregants that no human can solve the problems Nigeria is faced with. Giantability Media Network reports that Daddy G. O as he is fondly called, conforms to the fact that Nigeria is a paradise compared to some other nations of the world. The cleric prayed for God’s intervention, adding that many Nigerians are not aware of the tremendous blessings of God they are enjoying in the country while making comparison between Nigeria and other nations of the world. He narrated events which he has witnessed citizens of other countries sleeping in graveyards with dead bodies but such situations were not recorded in Nigeria. “It is important that we seek God’s mercy because we manufacture most of our own problems, if there is an armed robber, one parent gave birth to such a robber who failed in their responsibility. We need God’s forgiveness and mercy in Nigeria for us to experience glorious turn around.” He added. He however emphasized the need for Nigeria to thank God, instead of murmuring about the nation’s challenges. Pastor Adeboye advised that Nigerians should diligently seek God’s face in prayer, forsaking evil ways for the Lord to heal and restore the nation’s glory.